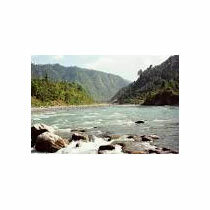 We Shall Pick You From Railway Station/Airport And Then Drive To Chamba. Evening Local Sight Seeing- Night At Hotel. After Breakfast Shall Leave For The Local Sight Seeing Of Chamba Nd Then Shall Check Out The Hotel And Then Visit To Jhumahar Where Famous Tall Movie Shoted And Then Proceed Khajjiar (Known As Mini Switzerland Of India) Night Stay At Khajjiar. After Breakfast Shall Leve For Khajjiar Sight Seeing, Visit Khajji Naga Temple There And Full Dau Excursion And Then In Between By The Noon Shall Check Out The Hotel And Then By Tyhe Evening Shall Proceeds Towards Dalhousie, On The Way To Dalhousie Shall Vivit To Kalatop Sanctuary Area And The Thereafter Leave To Dalhosuie, Overnight Stay At Dalhousie. After Breakfast Shall Leave For Local Sight Seeing Of Dalhousie, Sat Dhara, Panjpula, Subhash Chownk, The Mall And Gpo Etc And Have A Walk Of Thandi Sarak And Garam Sarak And Then Shall Check Out And Proceed To Pathankot Railway Station/Airport For Dropping Please.